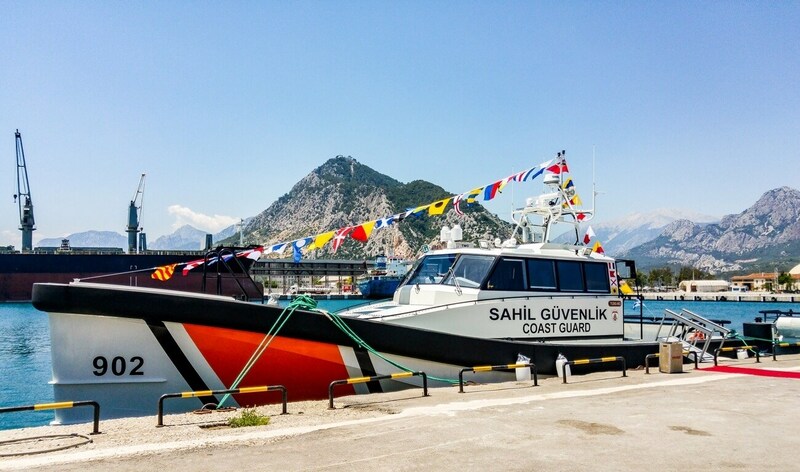 As part of an agreement between the European Union and the International Organization for Migration (IOM), Damen Shipyards Group has delivered two SAR 1906 vessels to the Turkish Coast Guard. The two vessels – the first to be delivered in what is a six-vessel contract – will be mobilised in refugee and migrant rescue operations. Fabricated with an aluminium hull and a composite wheelhouse, the vessel’s light weight means that it can combine speeds of up to 33 knots with efficient fuel consumption. A crucial aspect of the 19-metre long vessel is its attention to safety. The hull has been adapted from Damen’s Axe Bow technology which provides the seakeeping capabilities to operate in all weathers and sea states. Moreover, the engines and on-board equipment have been designed to continue operating even after the vessel has capsized.